It’s getting hard to keep track, but I just returned from what was probably my first visit to the city of Nashville. With only one full day to explore, we just hit a few major highlights. Still, it was easy to see why this is one of the fastest growing areas of the southern U.S. Our ambitions were somewhat limited by the fact that our free time here happened to be a Sunday, so while more tourist-centric downtown area was in full swing, other attractions were closed for the day. Beyond it’s reputation as the center of the Bible Belt and a haven for country music, I wasn’t terribly knowledgeable about what Nashville had to offer. For a city of it’s size, it turns out there’s plenty to do within walking distance of the pedestrian-friendly downtown. I’d love to come back to hear the symphony, catch a Titans or Predators game, visit one of the Civil War-era plantations, or check out the Country Music Hall of Fame. I thought it particularly impressive that Nashville has a full-fledged opera company. Despite our many well-heeled arts patrons and a population five times as large, the best Orange County can boast is an occasional re-hashed concert version borrowed from Los Angeles. As always, here are a few highlights from the trusty iPhone 5 camera — with a bit of Snapseed magic applied, of course. Nashville has a population of about 600,000. While that makes it the second largest city in Tennessee, it’s pretty small by southern California standards. Not that this is a bad thing. We didn’t mind the lack of road congestion one bit. And being from the Los Angeles area, I admire any city with a safe, walkable downtown area. Nashville definitely fits that criteria. L.A. is getting better, but it has a long, long way to go. 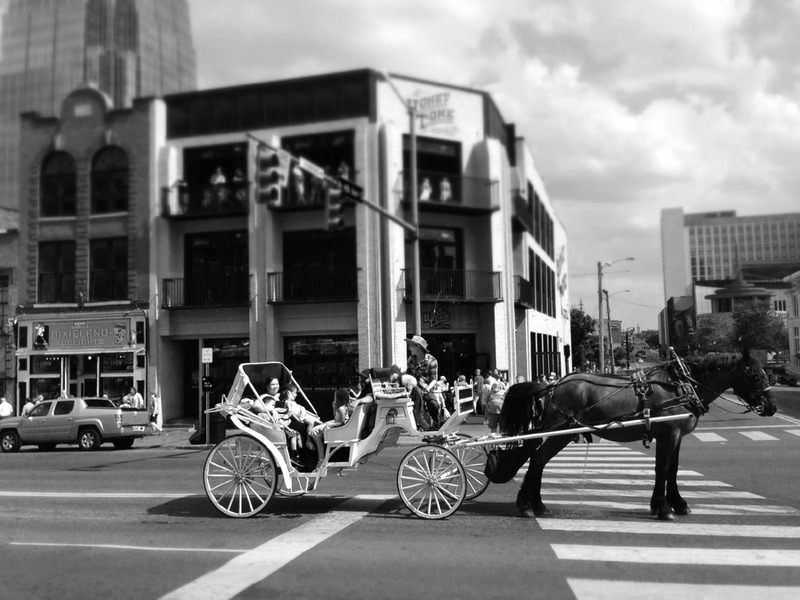 It’s a bit touristy, but Nashville’s downtown is well worth seeing. Everything’s withing walking distance. The main drag in the area seemed to the section of Broadway southwest of the Cumberland River. 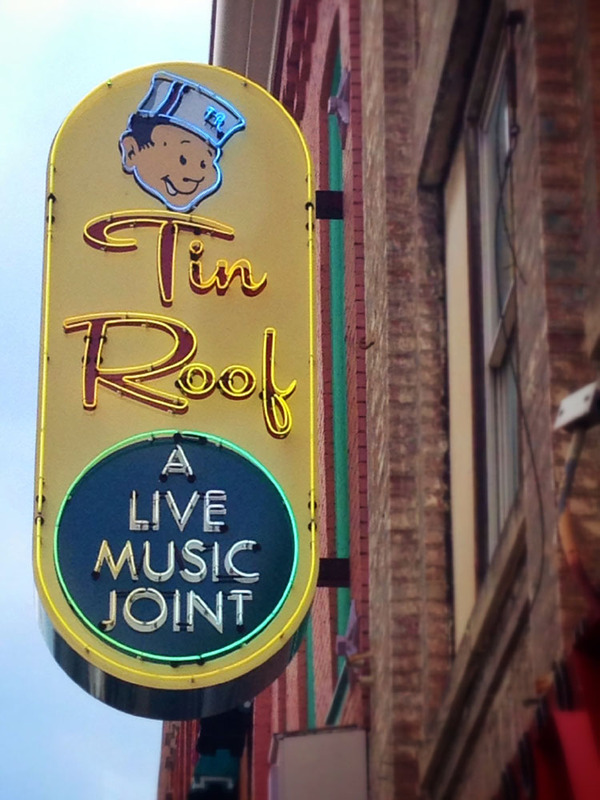 Even during the daytime hours, plenty of honky tonks, bars, and restaurants had live music and large crowds. I’d liken it to a small country version of Austin’s famous South by Southwest festival. 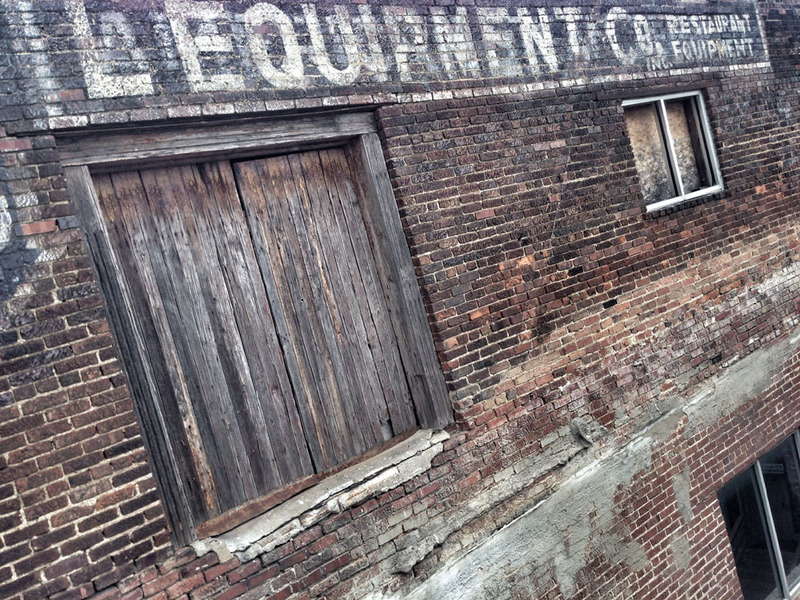 Nashville had a very balanced feel, equal parts past and present. I recently read an article about the decline of neon signage in the United States and how Los Angeles has some of the greatest examples of neon artwork. Apparently LED lighting is so much cheaper that the it’s rapidly relegating neon to the past. As a result of the article, I’ve been on the lookout for neon signs and noticed that the Broadway area has plenty of high-quality examples. There’s something “vintage” about neon that fits in really well down there. The old brick facades and colorful neon signs go perfectly together. We spent the first part of the day exploring Centennial Park, which is directly adjacent to Vanderbilt University. While we didn’t venture onto the campus, Vanderbilt was recently accorded the distinction of having the happiest students of any major university by The Princeton Review. 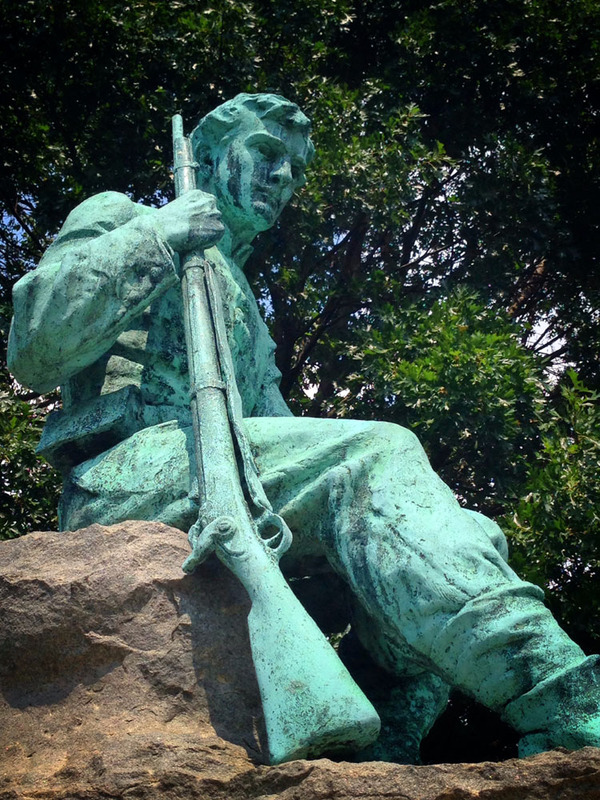 There are quite a few Confederate war memorials sprinkled around the area. This one caught my eye for some reason. I’m sure the locals walk by these every day without much of a thought, but it’s something a SoCal native would never see back home. Civil war memorials like this one can be found throughout the city. Built for the Tennessee Centennial Exposition in 1897, one of the park’s most notable features is a full-scale replica of the Parthenon. Though the building is new when compared to the Greek original, at 117 years old, it’s still quite historic by west coast standards. I’ve been to the Acropolis before, and the ancient Parthenon is more rubble than structure, so it’s fascinating to see what it looked like before being destroyed in a 17th century explosion. 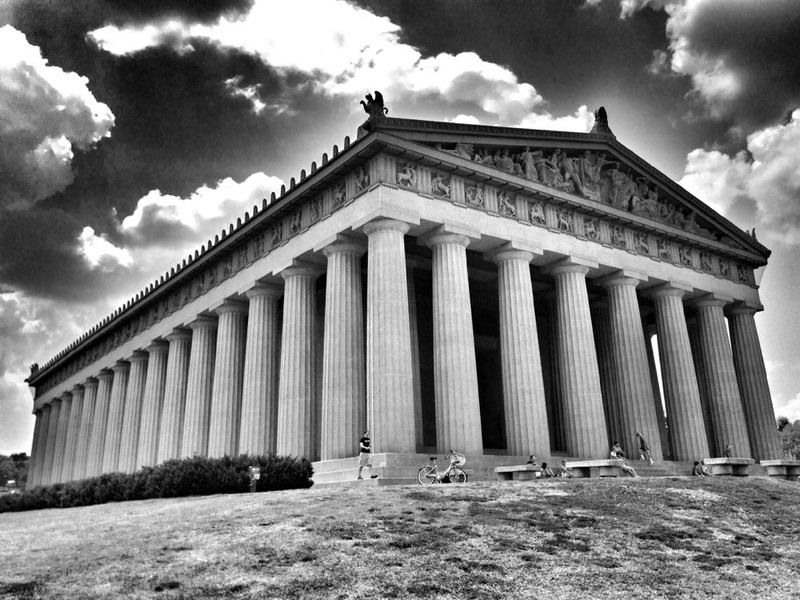 This Parthenon replica gave Nashville the nickname “Athens of the South”. As a foodie, I’d be remiss in not mentioning Nashville’s culinary scene. Travel & Leisure magazine recently polled it’s readership and ranked Nashville as the best city in America for barbeque. It’s kind of shocking to see Memphis in second place and Kansas City a distant third. True story: I once flew a Los Angeles-to-New York charter trip where we had a scheduled 90 minute stop in Kansas City. Since the airplane had more that sufficient range to make the transcontinental flight, I was curious about the short layover. It turns out the passenger simply wanted some of that famous Kansas City barbeque for lunch. In fact, he insisted we visit a specific restaurant to sample the vittles for ourselves. Imagine paying for the convenience and speed of chartered flight only to put your whole day on pause to eat lunch. That’s the power of Kansas City barbeque. Anyway, we sampled the Nashville offerings at Jacks’ BBQ and while it was good, I can’t honestly call the Texas beef brisket great. It was a bit dry and I’d have preferred a bit more smoke on it. Other members of the group seemed to have better luck with the smoked Texas sausage and Tennessee pork shoulder. No, we went into Nashville Int’l (KBNA). Helicopter flying — that’s definitely on my list! Low, slow, and plenty to see. Good luck with your training! Thanks! I’m loving it so far! 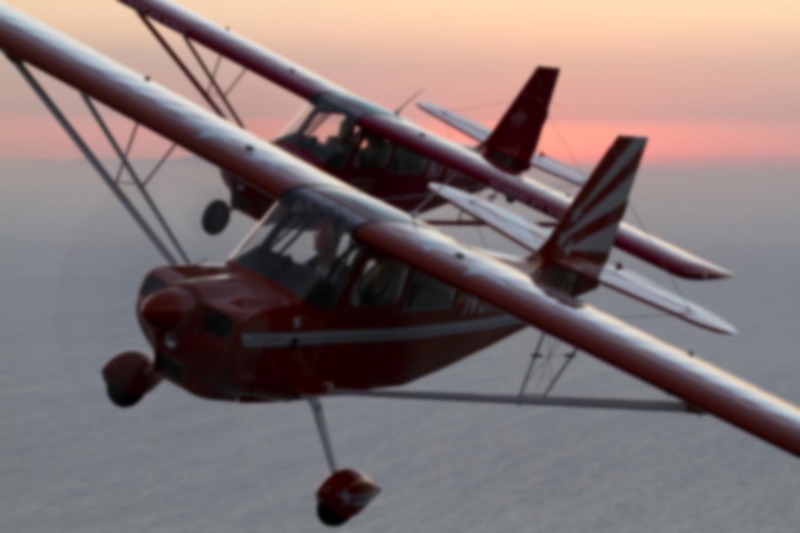 I hope to learn how to fly planes one day, as well. You know the funny thing about helicopters, by the nature of the Heli, you are always doing interesting things in interesting places. The times I went I really felt like I was floating. Of course, all the Heli pilots accuse us fixed wing folks for having a “trim”. Sheesh! Ron, for one day, your photos are phenomenal. I had the opportunity in September to visit Memphis and Nashville for eight days for work. I really loved the place. I spent more time in Memphis though. I loved running on the Mississippi river (although not the mosquitoes), the BBQ. the live music, and of course the Peabody Ducks. I recently had to subject my sister to a 45 minute giddy recount of the most amazing Duck March in the world. I was so absorbed by the Peabody Ducks and their royalty, I allocated an entire day for it! Hawaii next week? I really need to stop reading your blogs 🙂 I’ve got my eye on the prize sir. Big things are happening. Thanks for the kind words about the photos. I enjoy taking pictures, but try to strike enough of a balance that my face and attention aren’t always in the iPhone. If I take twenty photos and two or three of them turn out well, it’s a success in my book. With eight days to explore, I’m sure you got a much deeper experience in the area than I did. For instance, I’d never heard of the Peabody Ducks. What a unique tradition. I Googled it and apparently the duck march occurs at several Peabody hotels each day, though the one in Little Rock became a Marriott property last year and the duck march no longer takes place there. Glad to hear the wheels are moving for you! Sorry you missed the Best. Pancakes. Ever. http://www.thepancakepantry.com/ If you return to Nashville, you really ought to try it out! And for an amazing family-style sit-with-some-strangers brunch: http://monellstn.com/. Oh, the fried chicken! Thanks for the gastronomical tips, Rick — I’ll keep those on file for my next sojourn to Tennessee. It does seem like one hasn’t really experienced a place until the local cuisine has been sampled! I love Nashville! I have spent a few days there on layovers and it’s a blast. Great photos too! Thanks for sharing your exploits! Fun stuff. Glad you enjoyed it, Brent. You know, I haven’t heard anyone utter a cross word about Nashville. That pretty much says it all! Nice post, Ron. We’ve visited Nashville twice, the last time very recently, and I agree with what you’ve said…. a very nice city with lots to see and sample. You didn’t mention it, the Ryman, but I assume maybe you took it in since it’s just across the intersection from the Honky Tonk saloon you pictured. The Ryman is an absolutely ‘must see’ for anyone who loves country music, or heck just everyone. It’s so famous and oozes history. And the White Horse saloon also, only 2 blocks from the Ryman. You mentioned the Country Music Hall of Fame….. yep, I’d definitely recommend it your next trip, it’s close walking distance also. This was more of an “overview” trip due to the short duration of the stay, so while we walked past all three of those hotspots, we but didn’t explore any of them in-depth on this trip. Hopefully next time though! The Country Music Hall of Fame looks intriguing. I studied music in college and sang professionally for years, but know very little about that genre, so I’m sure it would be educational as well as fun. Thanks for the excellent tip — I’m sure I’ll be branching out next time I’m there. Haven’t gotten into the geo-caching thing, but it sounds like fun. I love history.